My kitty says snack time ummm puppy treats. LOOKS LIKE YOU ARE CERTAINLY GETTING GOOD ON THE OLD PUTER THERE. Not really... half the time I don't even know what I did. Just play around till I like what I see..
Well what ever it is you are doing it works. Don't stop trying and learning. OT wrote: Well what ever it is you are doing it works. Don't stop trying and learning. night-reaper wrote: I win yet again! And yet again you lose to. 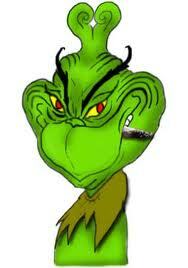 hehehehehe The Grinch strkes again. Southern boy speak with forked tongue, picture above not lie. Grinch win. The Grinch for President. That's lighting bub... I speak with lighting. Harsh and true.. I win. I yield to your genius. OT wrote: I yield to your genius. But on second thought it now looks like you are a dirty old man. OT wrote: But on second thought it now looks like you are a dirty old man. I thought that we all are dirty old dudes? Not me, Linda slipped some liquid x-lax into the chocolate cake and I am now as clean as a whistle, outside and inside as well.